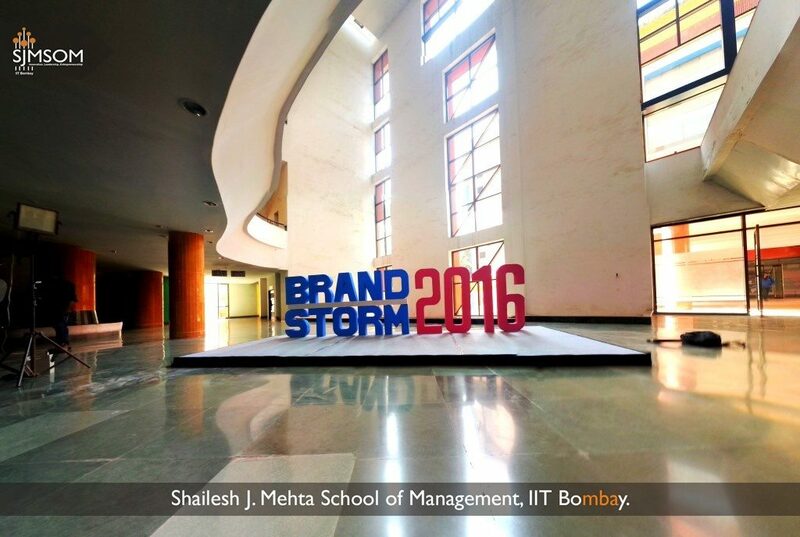 SJMSOM, IIT Bombay was delighted to host the West Zone Round for L’Oréal Brandstorm for the third year in the running. Brandstorm is L’Oréal’s unique business competition for students that provides a platform to unleash their creativity and apply ground-breaking ideas to one of L’Oréal’s international brands and distribution channels every year. Since 1992, Brandstorm has given to more than 70,000 students worldwide: the possibility to work on real life challenges and be coached by top L’Oréal executives. Ms. Divya Jain welcomed all and conducted a quick poll about how good people felt about their skin and highlighted the problems that every individual faces when it comes to skincare and the promise La Roche Posay holds for everyone. La Roche Posay has a heritage spanning over 100 years and is recommended by over 25,000 doctors worldwide. She highlighted some telling statistics concerning skincare and dermo-cosmetics and also, the efficacy of La Roche Posay when it comes to complete dermatological care. She went on to comment on current trends in marketing in the digital era and concluded by wishing all the competitors the very best. The team made a very engaging case about how skin deserves preventive care in today’s age and presented insightful statistics about the dermo-cosmetics market size across geographies including Asia and Western Europe. Depicted La Roche-Posay as a knight in shining armor for dealing with various skin afflictions through the viewpoint of 4 different individuals across the globe. The team highlighted the global trends in the dermo-cosmetics market in China, Indonesia, and India and demonstrated the concept of “Asianification” for natural skin care trends, stressing on the values of Innovation, Efficacy and Minimalism. They portrayed the profiles of 3 customers namely: 1. Taufique- A social media enthusiast 2. Kiki from Laos – An avid instagrammer 3. Merlin Filla – A working professional who is extremely concerned about her looks. The team proposed the “My Skin My Feel initiative” and a host of innovations ranging from gamification to digital mirror and a novel Free Hugs campaign. Their “Reapply reminder app” had a host of ingenious ideas. Analyzed the geographic details about global trends in skincare and beauty market following a discussion about changing lifestyles, competitive and target group analysis. A survey on dermatologists, actors, models and a sample group from target audience helped them find out that the ingredients used in the product are the major concern in this age. Proposed Touch points like an app with multiple features, derma network, live interactions, category specific communities, a campaign with micro detailing via multiple digital channels, remarketing and monitoring techniques that can be presented via Google Analytics. Started with a primary and secondary research of the dermo-cosmetics market and followed it with the competitor and SWOT analysis. Plan of launching a campaign named “Why Cover Up when you can be Cover Girl?” on the World Skin Health Day. Launch a Skin Deep beauty App along with marketing by means of La Roche Posay bag and In-Flight brochure. Started their presentation with the introduction of customers and stressed on the significance of 15 to 25 age segment and the opportunity presented by this segment in the digital marketing sector. The team then discussed Health and Beauty, Skincare and Dermocosmetics as market segments with a special focus on customer interaction in the segment. Their strategy was based on the theme of MySkinFamily, supported by sub-themes such as MySkinChampions and MySkinScheduler, which were proposed to be implemented with campaigns such as #Welcomebacktocommunity and MySkinStories. Summarized their theme with a futuristic idea in Virtual Reality and its potential for La Roche Posay. The team started with Defined Market Segmentation for the skin products and mapped them on the value matrix. They also mentioned the constraints of the skin care products market like customer understanding, geographical breakdown etc., stating how La Roche Posay can overcome them. They have conducted strong primary research by engaging doctors and customers with their secondary research about customer behavior. They suggested mobile gaming, tie-ups with doctors, kiosks at airports to increase online and offline promotion of La Roche Posay. The team started their presentation with an overview of La Roche Posay and an analysis of the dermo cosmetics market along with target consumer behaviour and competitor analysis. They used the concept of Internet-of-Things paradigm through the use of a Digital Mirror. Gamification as a means of marketing through the “Au-Naturel” app and use of Native Advertising to advertise La Roche-Posay as a product.